Whether or not you're a fan of yoga yourself, there are bound to be a few women in your life who often find themselves in Downward-Facing Dog. This holiday season, give them a gift that will feed their love for yoga, meditation, and all things wellness. See ahead for stellar gift ideas, from yoga mats to cruelty-free skin care to functional leggings. The best part is the prices start at $10! 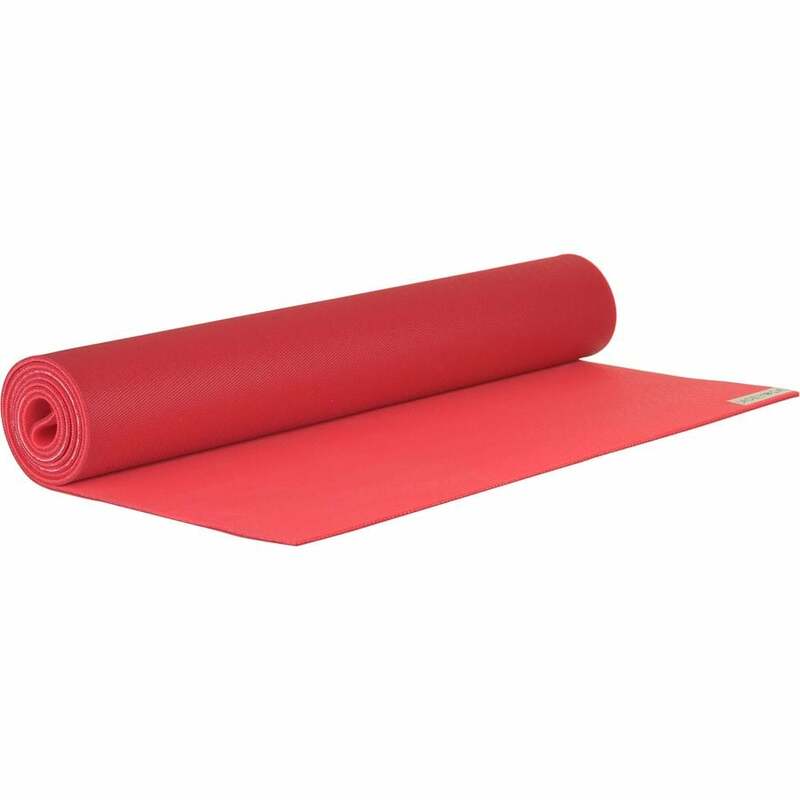 Meet the bread and butter of all yoga mats. This eco-friendly Jade Yoga Mat ($78) is just the thing to fuel your favorite yogi's healthy addiction. And for every mat purchased, Jade Yoga plants a tree in partnership with Trees For the Future. That's an environmental win-win. 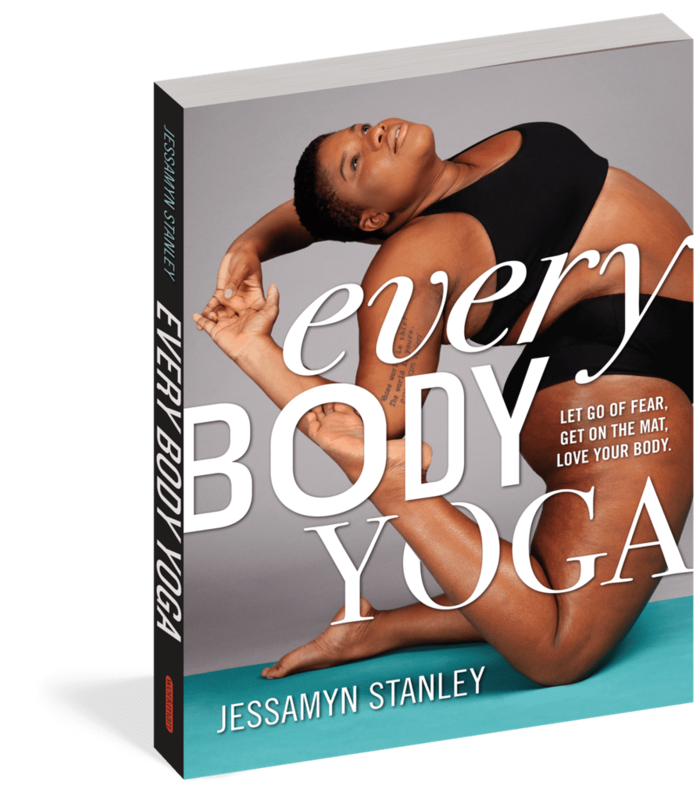 Jessamyn Stanley is a renowned yoga teacher and body-positive activist, and her book ($10) is as hilariously real as it is useful. Your loved one will feel even more inspired by her practice and her body than ever before after she finishes this read. The earthy scent of this Saje mist ($13) is absolutely irresistible, and she can spray it on herself before or after her yoga class — or just whenever she feels like a calming pick-me-up. This stocking stuffer ($25) will add to the peaceful, harmonious environment of their home or office. 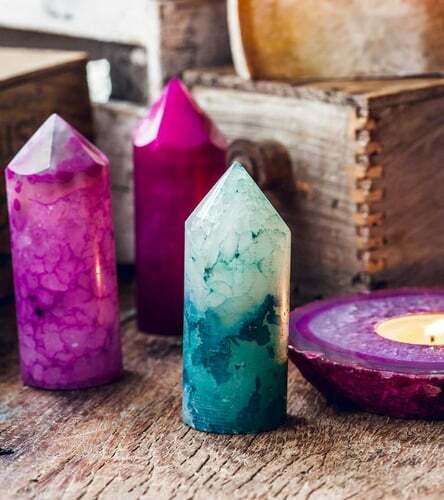 Choose from a couple different colors, and rest assured that these are made from real agate crystal. K-Deer has a whole line of Signature Stripe leggings, but this particular pair ($98) is one of our favorites. The high-waisted fit is flattering on anyone and everyone, and you can choose from full-length, capri, or sneaker length. 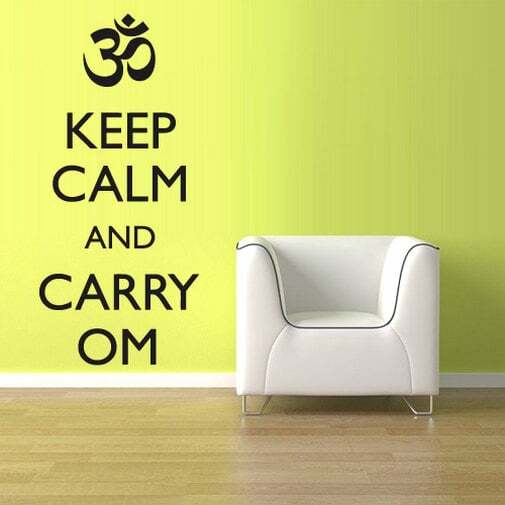 Inspired by the World War II-era posters bearing the slogan "Keep Calm and Carry On," the Keep Calm and Carry Om ($29) wall decal belongs in the house of every yoga enthusiast. Now she can get her yoga sweat on in style. This Ivy Park sports bra ($36) is affordable, stunning, and multi-functional. She'll have no problem bending and stretching in the comfortable fabric, and she'll surely channel Beyoncè when she's in Downward Facing Dog. YogaGlo is arguably the most worthy yoga and meditation app that exists today. 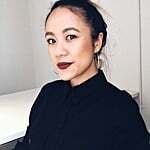 For only $18 a month, you can give her unlimited access to thousands of yoga and meditation classes led by experienced instructors like Dice Iida-Klein and Kathryn Budig. 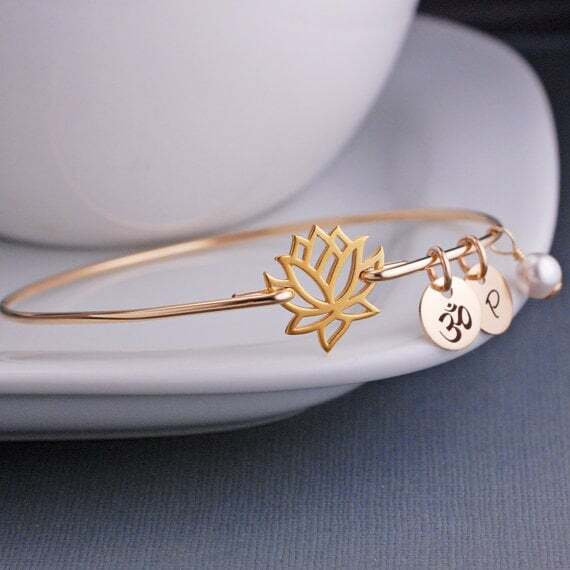 Whether she's into Vinyasa, Yin, Ashtanga, or Hatha, there's something here for her. Everyone deserves a little chocolate, and since no one should be left out, The Chakra Box ($30) contains all-natural, dairy-free, vegan ingredients. 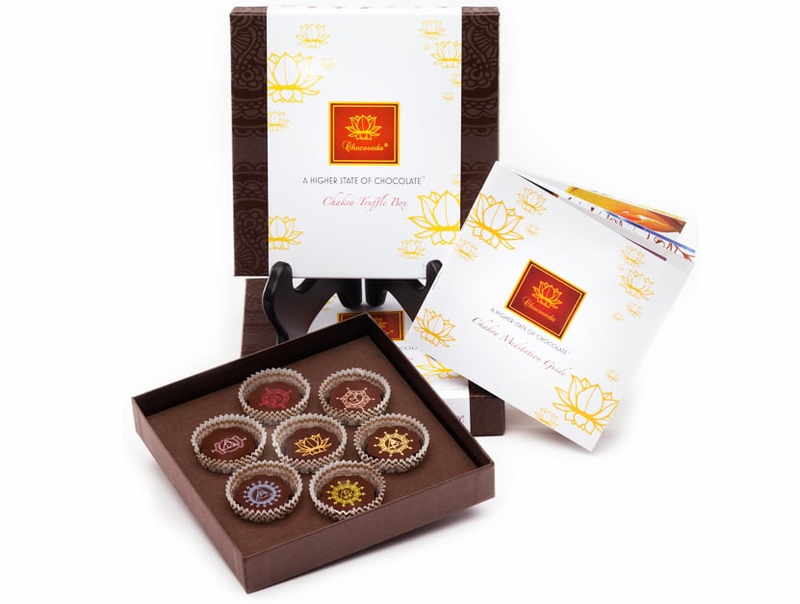 The different flavors of each truffle correspond to the body's seven energy centers. Flavors include chai, ginger lemongrass, and honey vanilla. For a home practice, aside from a yoga mat, having a block is a great way to modify or get deeper into poses. 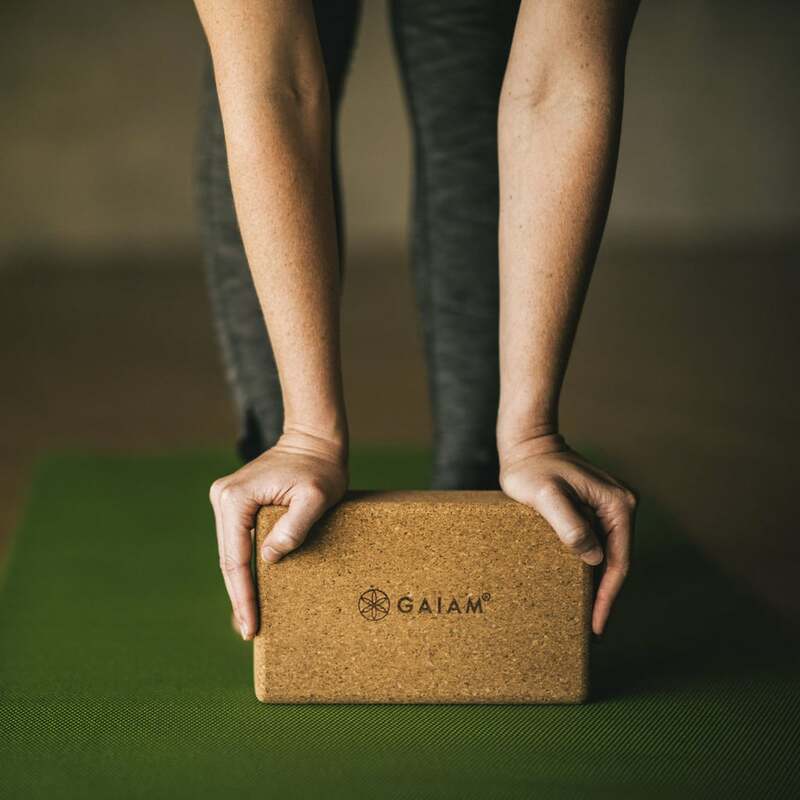 This Gaiam Yoga Brick ($20) is made from cork, so it's easy to grip without slipping and offers the firm support you need. This beautiful marble print is something she desperately needs in her closet ASAP. The high-waisted design of these Avocado leggings ($95) allows her to move in any direction she pleases without concern of any wardrobe malfunctions. 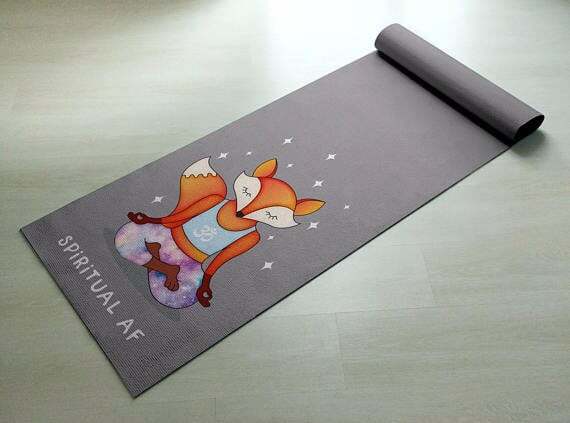 Give them a good, hearty laugh with this cute yoga mat ($50). If you don't love this particular one, you can choose from a variety of different animals, like pandas, bears, and elephants, each of which deliver a funny yoga message. Whether they're sitting down for a meditation or doing an at-home Yin yoga practice, this superuseful bolster ($72) will come in handy. Plus, its pretty design won't mess with the decor of their Zen-like apartment. 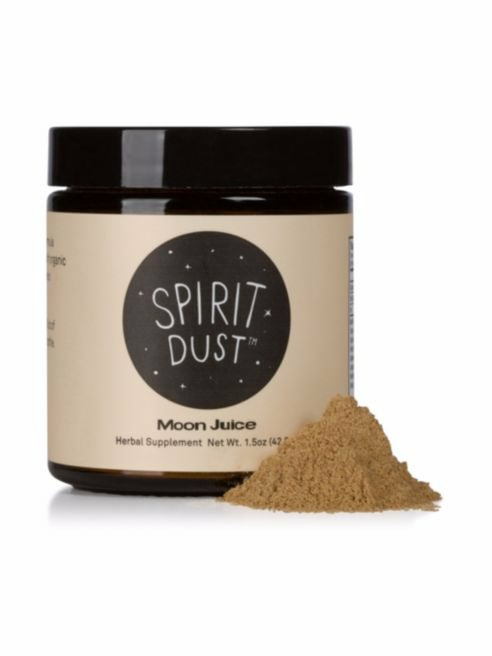 Sprinkle a little magic dust into their life with the Spirit Dust supplement ($38), which will help them feel calm and cool as a cucumber. Made from recycled water bottles (so eco-friendly! ), these gorgeous dusty rose leggings ($58) from Girlfriend Collective are totally drool-worthy. They form to the body and will hug every one of their curves. She cares just as much about what she puts onto her body as what she puts into it, so get her a face wash that's made without parabens, phthalates, sodium lauryl, or animal-derived ingredients. 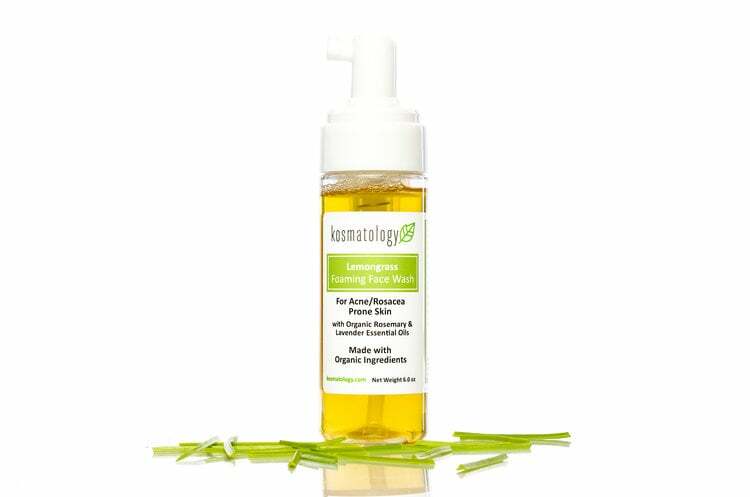 She'll fall in love with this face wash from Kosmatology ($28). Come on, you can't deny how cute and kitschy these Yoga Joes ($25) are. They're a hilarious addition to any yogi's desk or coffee table. They just might inspire them to get on their mat more often. Fresh bananas go brown so quickly, but these organic banana bites ($5) stay good for far longer. 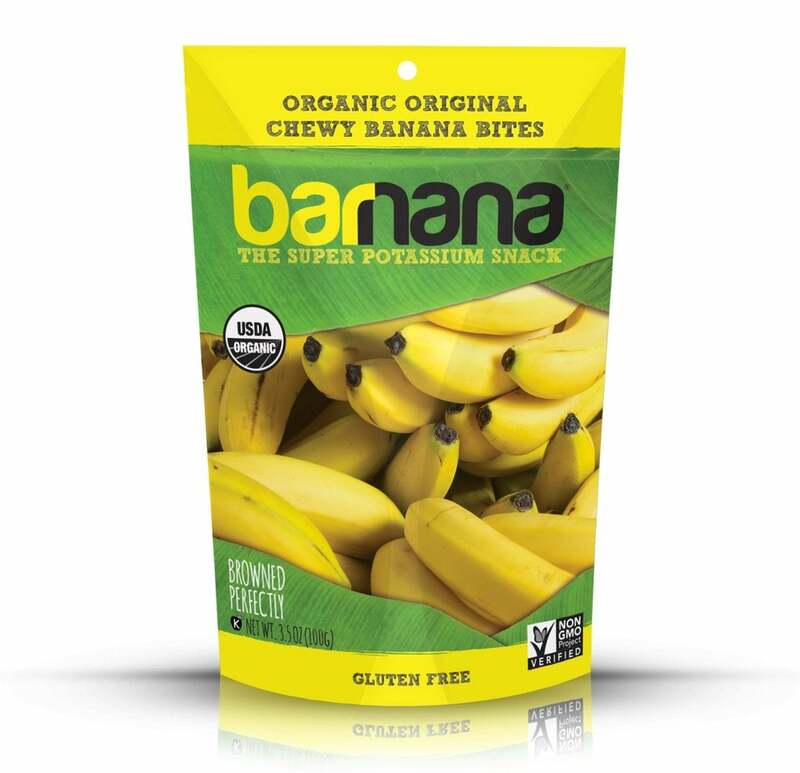 There's one ingredient in this pouch of sweet snacks: banana. Yep, that's it. She'll definitely toss this in her yoga bag so she has some fuel to keep her going after she leaves the studio. Smart home fragrance is a thing now, and the holidays are the perfect time to let your yogi friend give it a try. 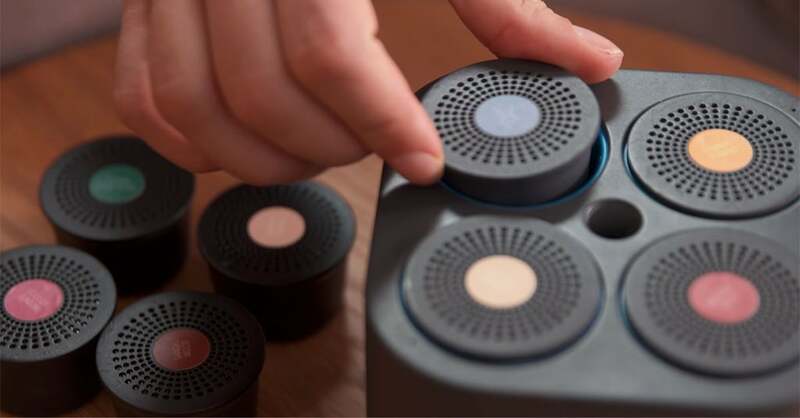 Moodo ($190) is the first customizable smart home scent that can fill up a 600-square-foot room (without any wax or oil residue to clean up), and it will help your loved one control the environment and mood of their home. Choose from scents like Cozzzy, The Gardens of Kanazawa, Oriental Delights, Beach Party, Ashram Spa, and Fresh Vibrations. What else could you possibly want when you're doing yoga at home? 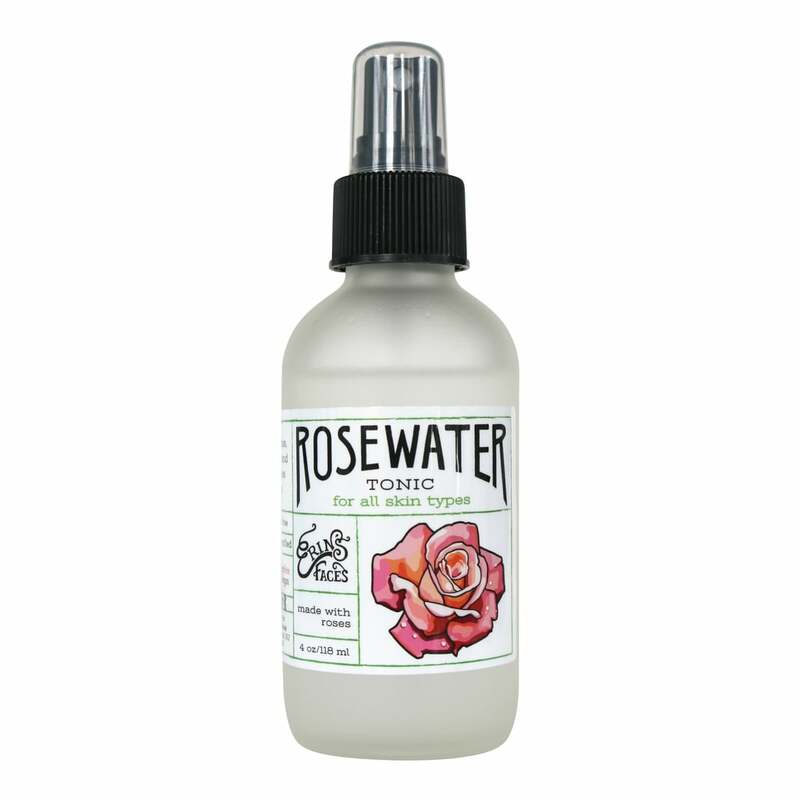 Cruelty-free and vegan, this luxurious rosewater tonic from Erin's Faces ($30) will hydrate and clarify her skin — without any artificial scents or ingredients. It's the ideal thing to spray on when you've just finished up a tough yoga class. 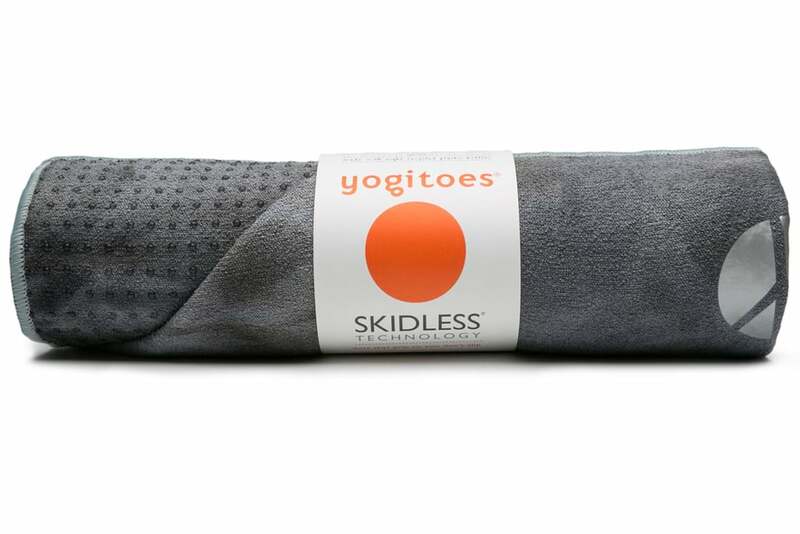 Skip those yoga socks and gloves and keep your friend from slipping off the mat with a Yogitoes Skidless Mat Towel ($45). Made of highly absorbent microfiber with comfortable nubs that provide traction and grip, you can be sure that there will be no slipping out of Downward Dog. Help her carry her yoga mat in style with this bag from Sol and Selene ($50). It's lightweight and water-resistant and the shoulder straps are adjustable. Oh, and it's ultra cute to look at. 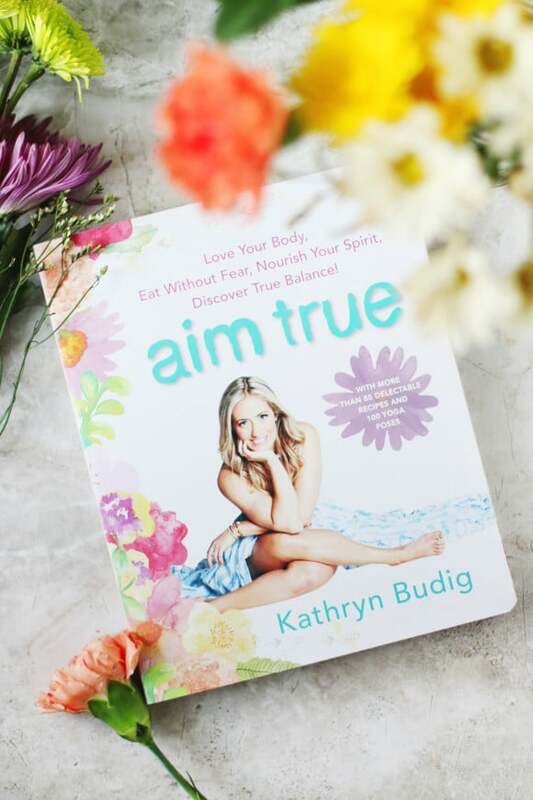 Fuel her love for yoga and overall wellness with this book from internationally acclaimed yoga teacher and cook Kathryn Budig. Aim True ($16) offers yoga sequences, delicious recipes (don't miss out on the vegan mac 'n' cheese! ), and meditations that come in handy on stressful days. It's the total self-care package. 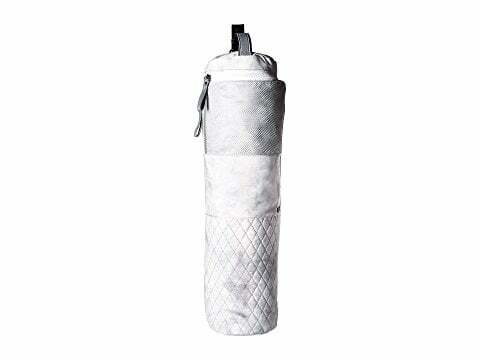 Add a little sparkle with the Manduka Pro Jelani Mat ($97). 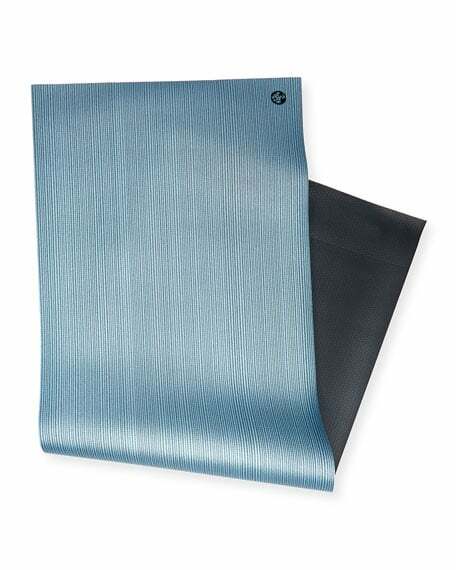 This denser, thick yoga mat has unparalleled comfort and cushioning, and with a lustrous metallic finish, it's sure to put a smile on your recipient's face. The lifetime guarantee means they'll never have to buy another yoga mat again. Help her stay warm in the colder months with this stylish top from Alo Yoga ($70). The cool mesh paneling gives a little sneak peek of their favorite sports bra. 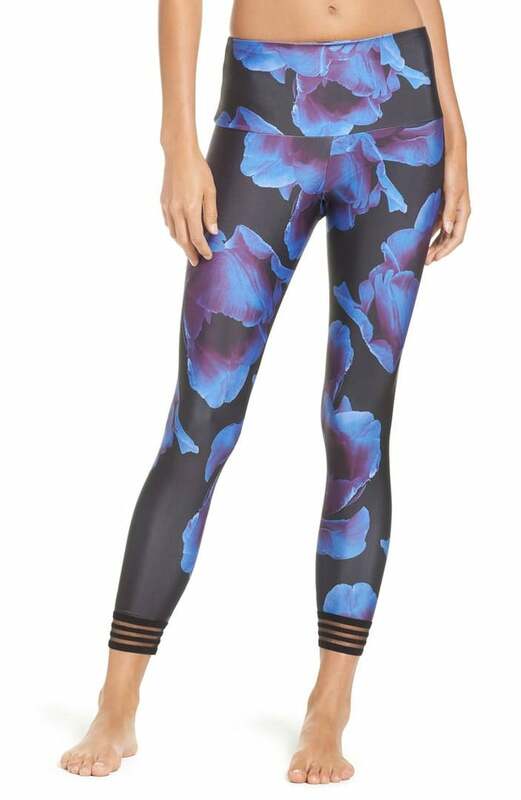 The perfect pair of leggings ($69) for the woman in your life who can't get enough of cool patterns. The thick waistband will hold everything in when they're upside down in headstand. Choose from Soothing Citrus, Tranquil Lavender, or Energizing Gingergrass. This mat cleaner spray ($11) fits perfectly into their bag, and they'll never have to worry about their mat getting stinky. Dating back to eighth century BC, singing bowls have been used for centuries in Buddhist practice as a way to begin and end meditation. In yoga, it's not uncommon for teachers to employ this practice during Savasana. 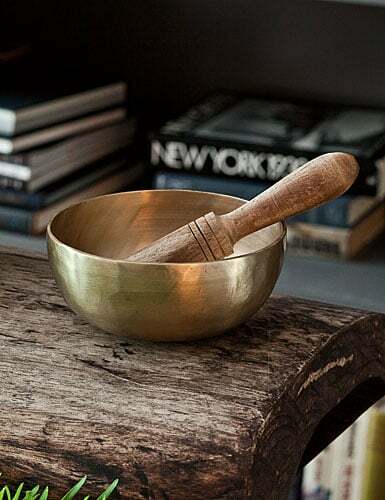 This particular brass singing bowl ($100) is handcrafted in Nepal; it includes a wood striker with cotton cover. For those of you that are thinking about really splurging this holiday, nothing can top a yoga retreat — exotic locations, total yoga immersion, and being surrounded by like-minded yoga-lovers. It's really a one-of-a-kind experience. Head over to our friends at Yoga Journal for some highly recommended yoga retreats. 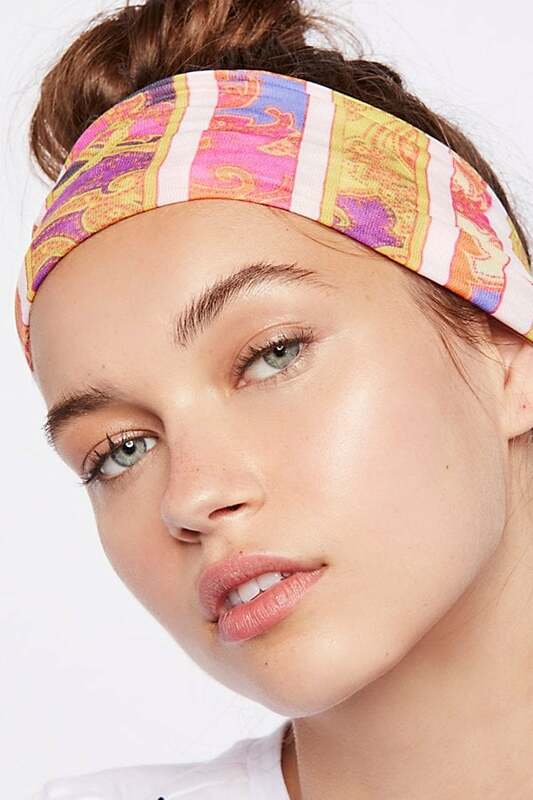 Because she spends a lot of time upside down in poses, gift her with the Free People Mixed Texture Headband ($18). 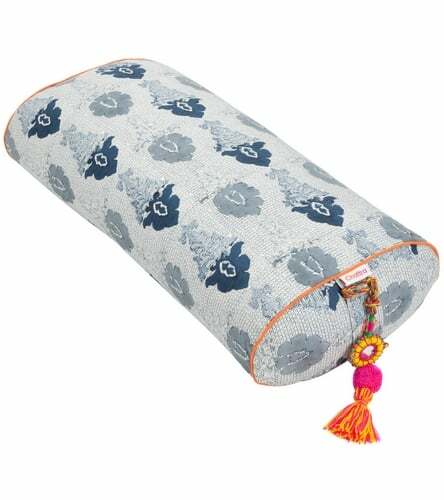 It's wide enough to keep hair tame during class and double as an eye cover during Savasana. More than 21 styles are available, too! 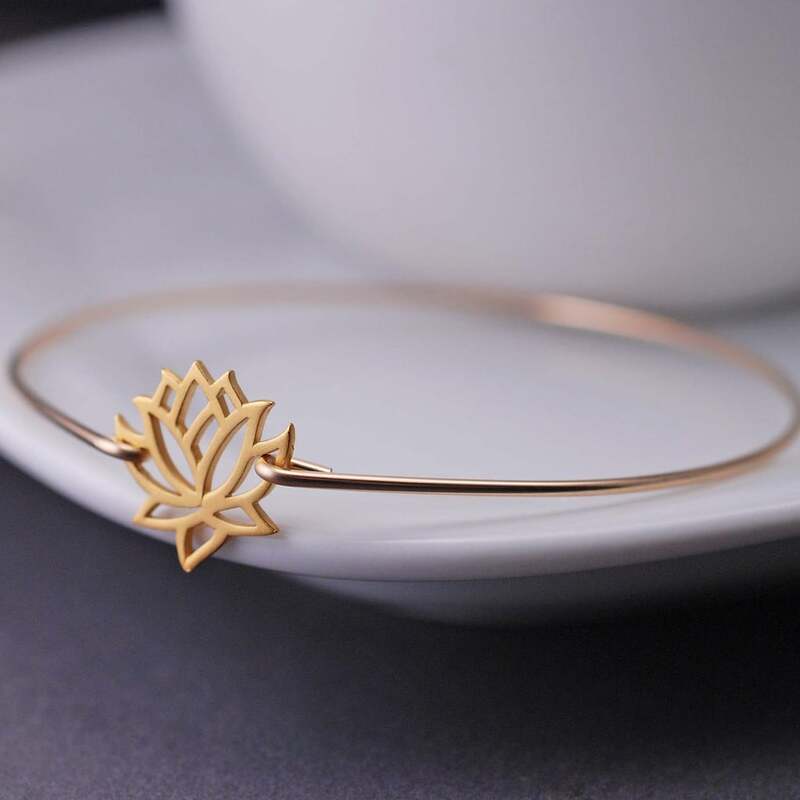 This delicate gold lotus bangle bracelet ($48) will look great on its own or layered with other bangles and friendship bracelets.